Today, we are examining accessory muscles of the ankle. To start us off, have a look at images 1 through 5. The areas of focus have been highlighted with arrows. 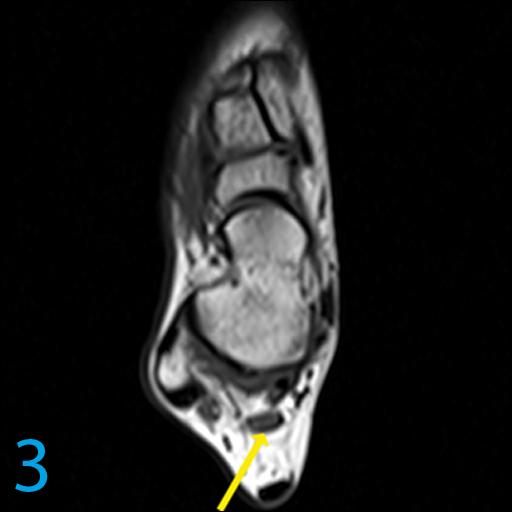 What extra structure do you see in the tarsal tunnel? The additional structure is the peroneocalcaneus internus (PCI) (images 1-5, yellow arrows); a rare accessory muscle in the posteromedial ankle. The PCI can originate from the inner / medial aspect of the distal fibula, and inserts onto a small tubercle on the medial calcaneus, inferior to the sustentaculum tali. 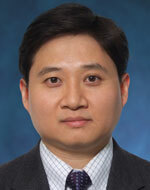 The PCI is estimated to be present in approximately 1% of patients, and is usually asymptomatic. 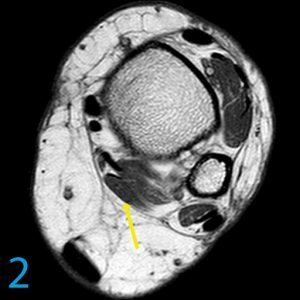 When symptoms occur, they may be caused by crowding of the tarsal tunnel, with compression of the neurovascular bundle. PCI can also be associated with posterior impingement. Although uncommon, the PCI is an important structure to be aware of during endoscopic surgery via the posteromedial portal. 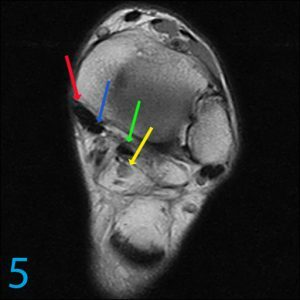 In this approach, the surgeon probes anterior to the FHL to reach the medial talar dome for repair of Osteochondritis dissecans (OCD) or removal of loose bodies (see Diagram 1). 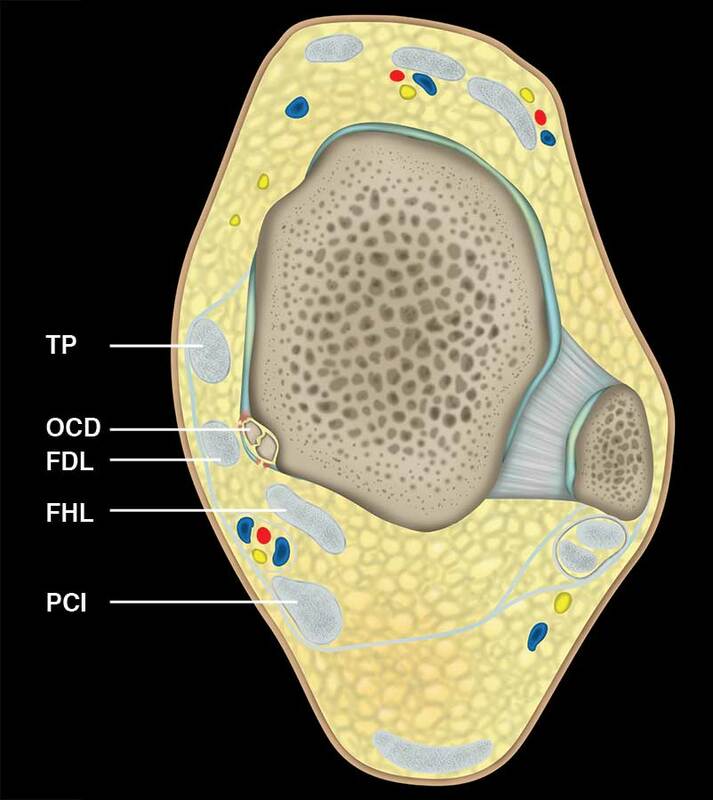 This path avoids the tarsal tunnel neurovascular bundle. However, if the PCI is mistaken for the FHL, probing anterior to the PCI risks injury to the neurovascular bundle, which can lie medial and anterior to the PCI. 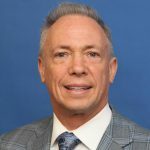 The key to identifying the PCI is that it courses posterolateral to the FHL, and hence its alternate name, the “false FHL”. 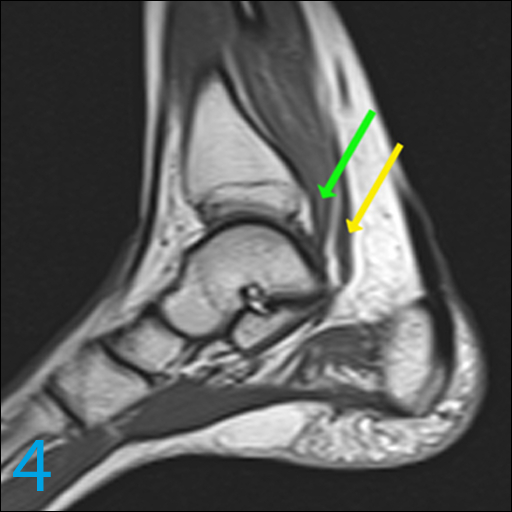 Other accessory muscles of the medial ankle include the flexor digitorum accessorius longus (FDAL) and the tibiocalcaneus internus. 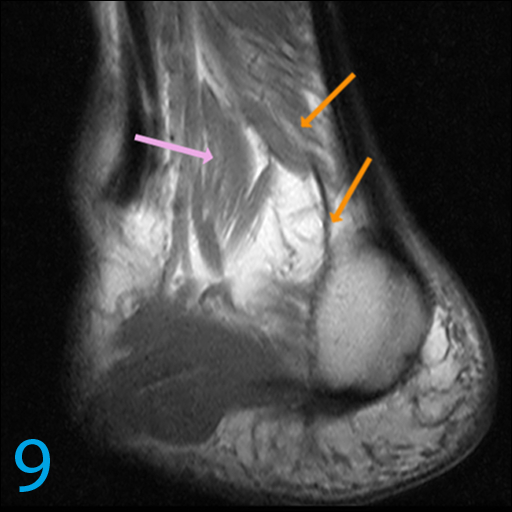 The FDAL (images 6, 8, and 9, pink arrows) is actually the most common medial ankle accessory muscle; even more common than the PCI. The FDAL is posteromedial to the FHL, and can either be superficial / medial, or posterior to the tarsal tunnel neurovascular bundle. 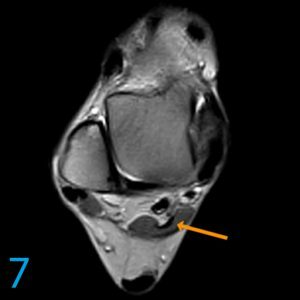 The FDAL has a variable origin, and can arise from the tibia, fibula, FHL, or the soleus, and inserts onto the quadratus plantae or FDL. 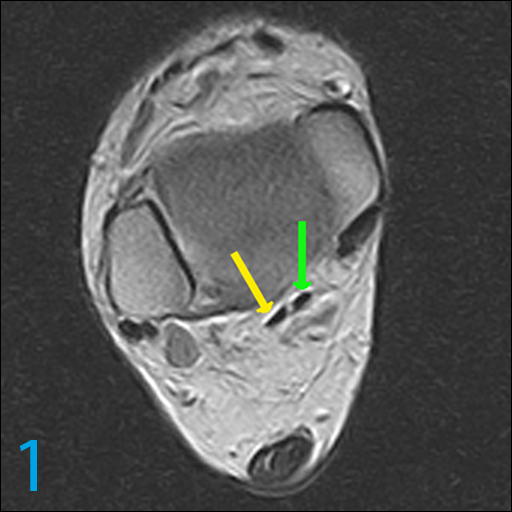 The tibiocalcaneus internus (not shown) is the rarest among the medial accessory muscles, originating from the medial crest of the distal tibia and inserting onto the medial calcaneus, 1-2 cm anterior to the Achilles insertion. 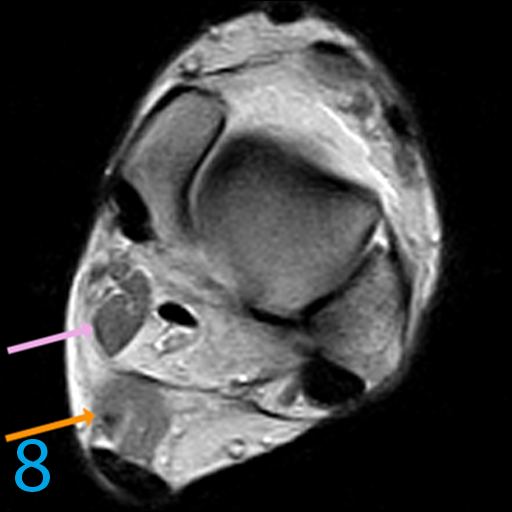 The accessory soleus (images 7, 8, and 9, orange arrows) is another accessory muscle to be aware of in the medial ankle. 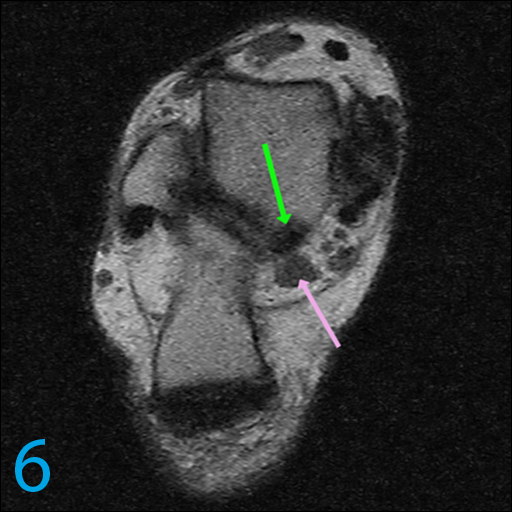 It is distinguished by the fact that it lies medial to the flexor retinaculum, and is therefore located external to the tarsal tunnel. Whereas, the other accessory muscles lie deep to the flexor retinaculum, and are located within the tarsal tunnel. The accessory soleus originates from the soleus muscle, or the tibia and fibula, and inserts onto the posteromedial calcaneus. In summary, the accessory medial ankle muscles are important structures to recognize as potential causes of tarsal tunnel syndrome, as these can contribute to medial pain in otherwise normal-appearing ankle MRI exams.